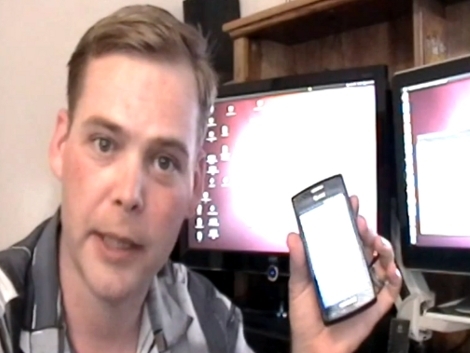 [Adam Outler] and [Rebellos] have been working feverishly to advance the world of mobile device hacking. They’re attacking on two fronts, making it easier for the common hacker to monkey with the phone’s firmware and OS with impunity, and by finding ways to make regular handsets into dev-hardware for low-level hacking. The Hummingbird Interceptor Bootloader (HIBL) circumvents the chain of trust on smartphones running the Cortex-A8 family of processors. This opens a lot of doors, not the least of which is the ability to run any OS that you’re capable of porting to the hardware. We’re certain that Android builds will come first as they are open-source, but there’s talk of iOS or Windows Phone being run after some heavy assembly hacking. But the two developers are trying to bring more people into the fold with their recent hacks. [Adam] has put out a call for your broken hardware. He needs your dead smartphone boards to reverse engineer the circuitry. Soldering one wire from the OM5 pin on the processor to the OM1 resistor will make the phones unbrickable (something we heard about back in July) and remove the need for soldering in a JTAG interface. With borked hardware in hand he pops off the processor and traces out this connection as well as the UART pins. The soldering isn’t an easy process, but it’s a marked improvement that breaks down more barriers that keep people from hacking their coveted hardware. The clip after the break shows how easy it now is to recover your phone if something goes wrong while messing with the firmware or OS. Seems a little weird that unbrickable requires a password, but cool nonetheless. That’s the Ubuntu admin password prompt I believe.. It needs that if it needs any root-level access to certain OS features. Pretty please, could you port Maemo? There is only 3 phones that support it, and I want more. 2- Someone ports that software increasing their device capabilities for free and they sell more. Seriously, can someone explain me what is the upside of them locking down their hardware? @HHH you can do it yourself as a preventive measure! Can someone explain the hardware hack? Is it correct that modifying the “OM5” signal somehow changes the boot sequence of the processor so that they can use a UART in the device core to communicate with some built-in bootloader? Is there an address we can mail these to? I’m surprised why phone manufacturers go this far to the point where they actively take measures to prevent load of other software. Phones that are easy to load new firmware in and have up to date ROM images available sell like hotcakes! Those who don’t are only bought by people who don’t know/care how to upgrade their software and generally don’t even bother to buy a phone with an OS that supports third party applications. When I’m buying a smartphone, my main concern is the availability of update OS images. If their official, better, if not, third party are ok.
Its a shame most handset manufacturers (even Android ones) go with the policy of: Want a new OS version? Buy a new Phone! Ok so the question is, which CPUs and handsets does this work on? Based on the mention of “Samsung” I am guessing it works only on Samsung CPUs. Awesome work!!! I work on phones all day I’m sure this will come in handy sometime. A. Noniem ⚙ liked Tiny Solar Energy Module (TSEM). Adam Phelps liked pcbtc (GaN edition). meshula liked Vintage film viewers as RetroPies. Sathish Guru liked Simple Open PCB Tesla coil. albrov liked MPRT - Modified planetary robotics transmission. albrov liked 1 KB 6 legged crawling bot. albrov liked 3D-printable high torque servo/gear reduction. AVR has updated the project titled Akita. Tikhon Orlovich wrote a comment on A ridiculously big MIDI keyboard (121 keys).